It's the school holidays and I am taking some extra time from work to spend time with the kids. 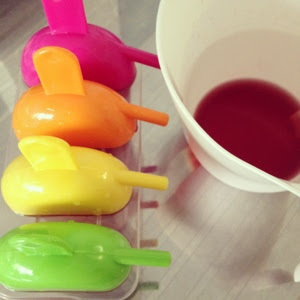 We are making ribena popsicles today. It's a hot day and we might make it to the pool if the weather stays hot. What about you? If you want to try the ribena popsicle recipe, it is basically one part ribena concentrate to 4 parts water.